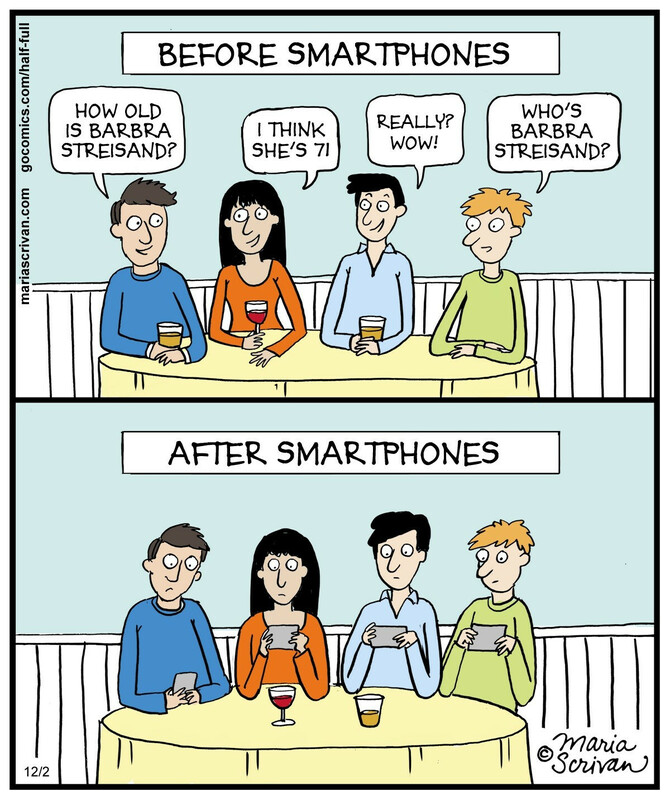 Have you ever sat around a dinner table and had a conversation that goes something like this? As of April 1, 2015, 64% of all adults in the United States own a smartphone, according to the Pew Research Center, and that includes all adults below the poverty line. With nearly everyone walking around with the world’s information in his or her pocket, our society is evolving (or should I say “devolving?”) into a need-it-now, multi-tasking, instant-gratification-based culture. This new culture we’ve created can make for pretty sad dinner outings, as depicted above. It’s also dangerous. We all know texting while driving is bad. It’s against the law. 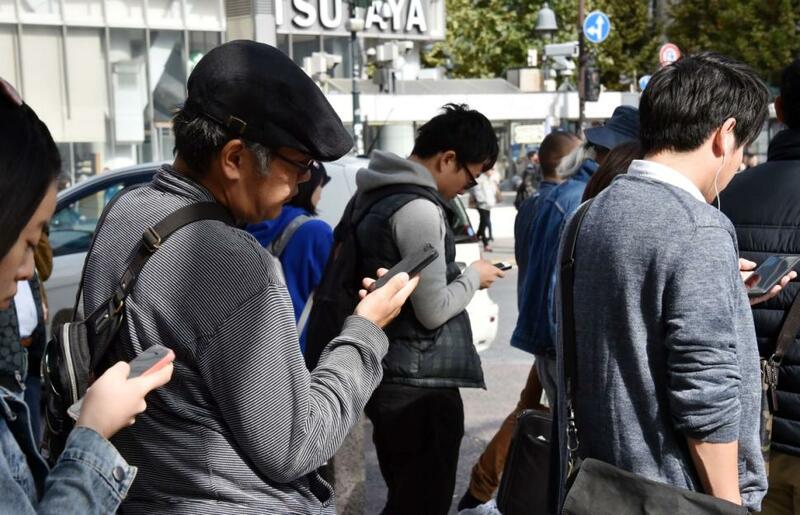 But do you consider texting while walking a problem? Our increasing “need” to multi-task, to cram more and more activity into each day only to be accomplished by partially focusing on multiple activities at a time, is causing some problems. National Geographic published a fun, interesting study on texting while walking in late 2014. They positioned “Joe,” a man in a gorilla costume, on a busy sidewalk to see how many people noticed him. The results – you have to watch to see! Sure, a man in a gorilla costume is harmless. How is it even relevant to everyday life? What if Joe had been a thief? Or an ax murderer? Would you want to walk passed someone with a knife pointed at you just because you were letting one of The Best Vines of 2015 loop for the 14th time in a row? If you think that was bad (and if you are a sucker for funny blooper compilations like I am), watch this. Now the business professional is reading this and saying to his- or herself, “That’s great and all, but I have S@#% to do!” If so, you should read this recent study published by Business Insider, because it turns out you’re actually making yourself less productive than you think you are. Step size shrinks, walking pace slows… our brains are not wired to manage multiple tasks at the same time. If you really want to do yourself, and those around you, a productive favor – focus on one thing at a time. You’ll get to your destination faster, and when you do sit down to respond to an email or check your calendar, you can do it faster and with less risk. Still don’t believe this is an actual problem? This epidemic is influencing big business, too. Consider Major League Baseball. The league has been sued countless times on all types of counts over the years: collective bargaining, blackouts, gender discrimination. Recently, though, MLB and its many stadiums across North America have recently seen an uptick in lawsuits regarding stadium safety. One particular lawsuit just filed last month is an effort to extend the netting from behind home plate to stretch all the way down the first and third base lines, protecting fans from foul balls and splintered bats. In ESPN’s coverage of the story, one of the main complaints in the suit is the danger fans are put in by distractions caused by mascots, video boards, and wireless internet access. Hold it right there, Gail Payne. I’m not even a big fan of baseball, but you just got me fired up. Do I acknowledge that since Major League Baseball first began in 1869, the game has changed and rules should be updated accordingly? Yes. Do I believe that bats made of maple wood are more prone to shatter than those of ash, and this is contributing to more splintered bats? Maybe. (I’m not an arborist, how should I know?) Do I agree that Major League Baseball is at fault for people watching T.C. 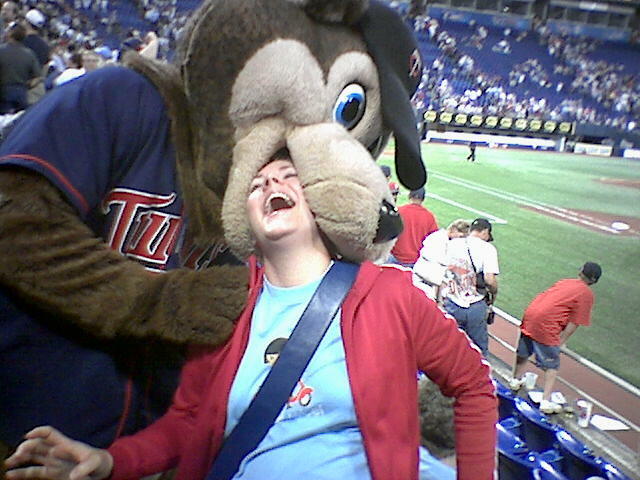 Bear romp around Target Field instead of paying attention to the game? OK, maybe he is a little bit distracting. But isn’t it just the slightest bit curious, just the teeniest smidgen coincidental, this claim of baseball fans being too distracted at games comes at a time of all-time high smartphone ownership? I have no empirical evidence to back up this claim, but of the “1,750 preventable injuries per year caused by foul balls and broken bats,” I’d be willing to bet that in 2014, at least half of those were smartphone related injuries. WAKE UP PEOPLE! You paid good money to go to that game. You are probably there with people you love, enjoy, or at the very least, can moderately tolerate. WHY do you need to be scrolling through your News Feed right now? Is creating your brand new hashtag #baseballfriends4everwithmybestie and broadcasting it your social network really that important? Part of the appeal of baseball, part of why it holds the esteemed nickname of “America’s pastime,” is the experience a fan gets at the stadium. The perfectly manicured grass, the puff of dust that plumes out of the pitcher’s rosin bag – being in the stadium makes you feel closer to the game. A part of the game, even. Dozens of children eagerly wait in their seats, baseball gloves on, waiting, hoping at their chance for one, just one foul ball to veer their way. Putting up a giant net across the entire stadium would be a major eye sore and ruin this part of the experience for the younger generation; which, by the way, happens to be the most important generation for MLB to entice for long term success. If we all just slowed down a bit, took our noses out of the glass screens we carry around, and instead looked up at those around us and engaged with each other – not only would the world be a better place, but we’d all have much better chances of avoiding street lamps, unintentional fountain swims, and baseballs in the face. "How do I get more done?" is the wrong question. "Prioritize the people and projects that matter, and it won’t matter how long anything takes." Absolutely BRILLIANT essay on productivity from @AdamMGrant in @nytimes: https://t.co/rwBKrXUEMC.